What do you do if you attend a non-Calvinist church or find yourself in a community where fellowship with other Calvinists is all but impossible? This was a question brought up by one commenter on this blog. To be quite honest, I don't know how to answer that. My wife and I were blessed to find a church that has a healthy focus on the doctrines of grace, but I realize that many Calvinist believers out there find themselves alone in churches and communities that can be rather hostile to such doctrines. They have nowhere else to go. What's one to do? My initial thought would be to view your situation as an opportunity for God to use you to speak the truth. Spend time in the Word and in prayer. Don't beat people over the head with your Calvinistic beliefs. (New "converts" to Calvinism have a tendency to do that.) Remember that your fellow church members are your brothers and sisters in Christ, so extend to them the grace that you profess to know as a Calvinist. One thing you could do is see if there are any Bible studies or Sunday school classes that are covering topics that could be related to Calvinism. There usually are. A study or class covering the book of Romans is an excellent example. That would provide you with the opportunity to raise questions that could get others thinking through their own beliefs. Challenge them in a loving way. Share with them your own struggles with interpreting certain scripture passages. Print off some articles by noted Calvinists that deal with the subject you are covering and ask for the input of other members. Get a dialog started. I know that all of this is easier said than done. Perhaps other Calvinists reading this will offer some helpful suggestions. I am a "Reformed" Christian in a hyper-Arminian church in a hyper-Arminian denomination. I was convinced of the truth of Reformed theology after I'd been a member of this church for years. As a teacher of an adult Sunday School class, I have to be very careful, but I have been able to share much of the beauty and wisdom of Reformed theology. However, I must be very careful to not hit them over the head with predestination and election. It is also amazing how eager they are to accept the truth that God must be involved in each individual's conversion. They accept that the Holy Spirit must open the spiritual eyes and ears to see, hear, and understand. 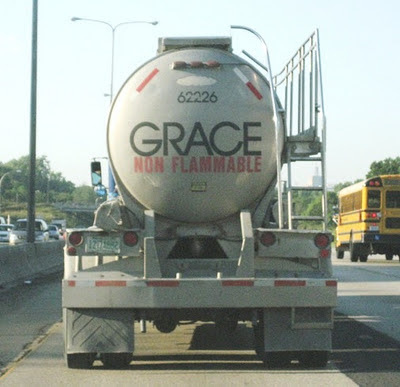 This flies-in-the-face of the doctrine of "prevenient grace" which is a cornerstone of Arminian/Wesleyan doctrine. It is amazing how much Reformed theology Arminian people will enthusiastically accept IF they do not know it is (oh horror!) Calvinist. I have a friend who pastors a Baptist church where most of the members are older people, probably none of whom have been introduced to the doctrines of grace. He doesn't mention Calvinism by name while he's preaching but he told me that they're getting more Calvinism than they know. I am a Calvinist and I attend and Arminian church for the most part. Their official stance, believe it or not is that thye are in between Calvinism and Arminianism but I think there are quite a few Wesleyan-Arminians in the denomination. I talked to the pastor about the reformed doctrines and he really didn't know much about it but he completely rejected it and told me that I shouldn't focus so much on theology. Hmm. What do you do if you attend a non-Calvinist church or find yourself in a community where fellowship with other Calvinists is all but impossible? Whatever you do, be sure you never end up on the paid staff and have a blog (or two) that you use to discuss the Doctrines of Grace -especially one a name something like "The Reformed Mafia." Because even though most of the people at your church never cared a thing about theology before, once they are able to pin the label "Calvinist" on you, it will eventually lead up to you and your pastor having to resign.